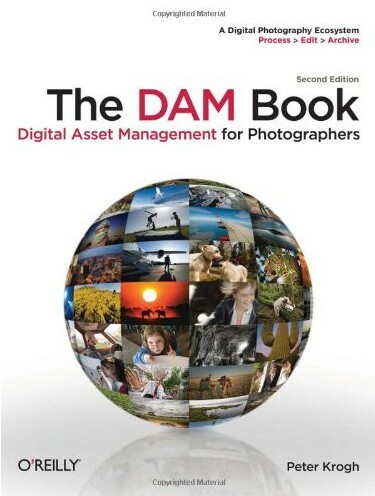 Peter Krough is an expert on the subject of Digital Asset Management or DAM for short. This is a subject that all photographers confront but many just run away from. How do you effectively manage your digital images or assets so that they are safe for the future and can easily be retrieved? Have you ever grappled with the need to find a single image and recover the RAW file from a forest of 100,000? Have you ever had to contend with your hard drive failing and taking with it years of photography work? If you have you will understand the pain and the need for this excellent book. It's very easy to generate thousands if not hundreds of thousands of images. The more you shoot the more important it becomes to keep track of and protect your image library. It can also become something of a daunting task with an ever expanding problem. This is where The DAM Book can help. You will learn a very effective workflow to help you maintain your library of images and extract the most value from it. It's aimed at professional photographers but the information is priceless to us all.